I would like to first say how much the KSA is enjoying serving you this year thus far. We have and are having a great time and it is due to your participation in the Scottish Rite that makes this machine perform. Thank You for your support. November 21st, The KSA is hosting a Cabaret themed dinner and Magic show that will be a Black tie event filled with an incredible dinner, décor and a Magic show featuring “Hank the Magician” that due to the sophistication of the magic, will be for adults only. Bring your family and friends and join us for a great evening! November 21st, 6:30pm social, 7:00pm dinner and 8:00 pm show. Tickets are $25. per person. Please RSVP with Hank or myself for this KSA event. This month we will be feasting with family and friends, giving thanks for being privileged to live in this great country. What a privilege it is! This country is going through some growing pains right now that I hope will result in a renewed burst of Patriotism and service that embraces all of its citizens. This of course starts with us internally. What can we do in our daily lives to make ourselves better for our family, community and Craft? The list is endless. Let us all remind ourselves and not take for granted life in this country. Our forefathers created this land to be a place that the Supreme Architect could view with pride in its ideals and principles for all people. From the Knights of Saint Andrew, Happy Thanksgiving! Ladies and families, are you in need of the KSA for any reason? We are here to serve you. If you are having difficulty with any task and need some extra hands, please ask and we can assist you. 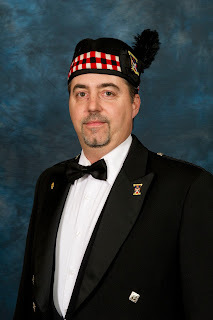 This is your Scottish Rite as well.